If there’s one thing that’s true for Portland-native Kathy Frederick, it’s that it is never too late to get started. As an athlete growing up in a pre-Title IX era, her options for sports were limited. It wasn’t until her husband, an alumnus of the Oregon State University men’s rowing team, introduced her to rowing that she found her passion. In 1988, Frederick finally sat in a shell and was instantly hooked. Frederick was moved to start Row For The Cure (RFTC) in 1993 after a close friend passed away suddenly from breast cancer. The loss of her friend drove her to decide to host a fundraiser to help support research for a cure. “I saw the Race for the Cure, and I wanted to contribute, but I’m not a runner. 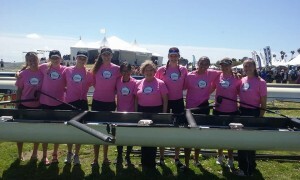 However, I am a rower, so I talked to the local Susan G. Komen affiliate and Row for the Cure Portland was born. Today, Row for the Cure is a national land and water-based multi-sport regatta series which includes rowing shells, canoes, kayaks, dragon boats, and Native American canoes. The regattas are official third-party events which raise money for local affiliates of the Susan G. Komen Foundation. The 25th annual Row for the Cure Regatta, which has been hosted every year by Kathy’s club- Station L Rowing Club, will take place Saturday, July 28 on Vancouver Lake in Vancouver, Wash. Kathy expects the event to raise over $75,000 and feature around over 500 rowers and 200 dragon boat racers. Registration for the event will include breakfast and lunch, and there will be a beer garden this year for competitors and spectators alike to enjoy. New this year is the addition of the opportunity to purchase a ticket to row in a shell with three-time Olympian Tiff Wood. This year will mark Frederick’s final RFTC Portland/Vancouver regatta. At the end of 2018, Frederick will be stepping down as President and Executive Director of RFTC and passing the baton onto the next community leader. For Frederick, the work leaves her beaming with pride over the accomplishments achieved by rowers not only in her community of Portland but across the nation. At the end of 2017, RFTC topped $2.5 million in funds raised for education, free mammograms, patient/family support and the search for cures. 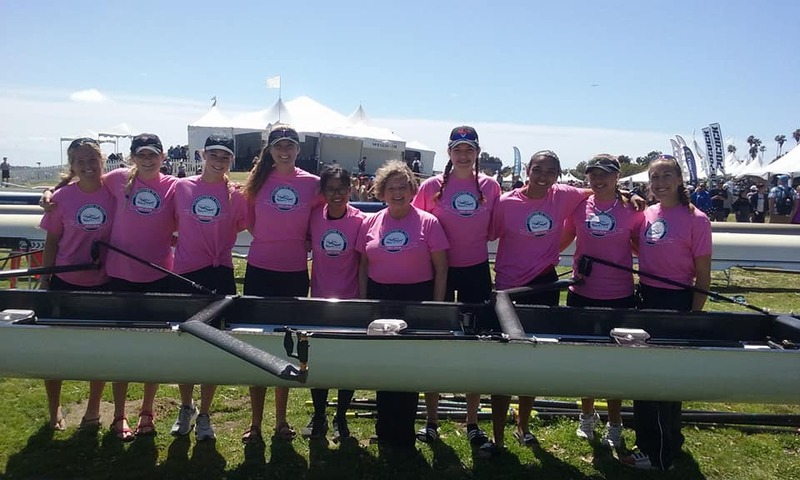 Seattle Row for the Cure broke all the previous fundraising records and led the way in their campaign to “Put the Damper on Breast Cancer”: DAMPER – Donating A Mammogram Per Every Rower. Frederick hopes to see RFTC grow, hopefully tripling the number of regattas held across the U.S. from seven to 21 by 2024. She is also eager to watch RFTC grow into more than just races, and become a movement of spreading awareness and kindness from boathouse to boathouse. Register to race at the 2018 Row for The Cure Portland/Vancouver regatta here. 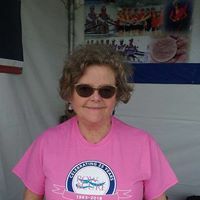 Please visit rowforthecure.org for information on joining the cause. Row for the Cure Announces National Board Openings – Join Us!